The Stage 7 of the Dakar 2017 has been altered in view of the torrential rain in the Bolivian capital of La Paz. Stage 7, from La Paz to Uyuni, was the sole marathon stage of the rally and was supposed to be a 622km long stage of which 322km would be the competitive section. However, the rains have wreaked havoc with the stages. Stage 5 was cut short by half and Stage 6 was cancelled. During the rest day, a new course was designed for Stage 7. 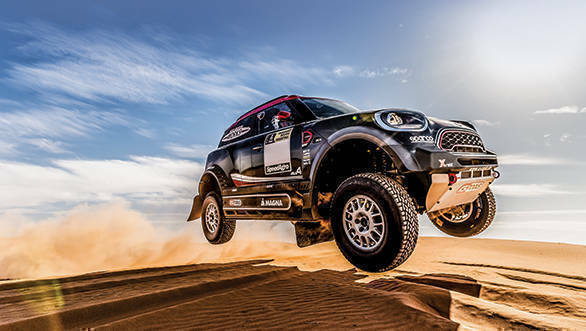 It will be a combination of Stage 6 and 7, and will be totalling 801km which includes the 161km special stage that'll take place on sandy terrain. The marathon stages will be extremely challenging for the competitors as they'll not have access to service crews during the stages. This puts additional pressure on them as they'll have to conserve their vehicle and avoid taking undue risks. Stay tuned for all updates.